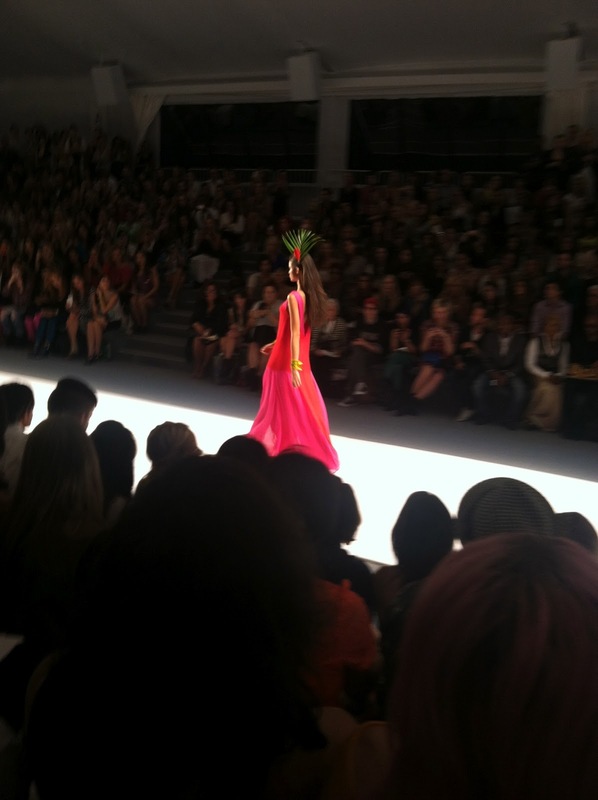 mind at Mara Hoffman for Spring/Summer 2013. 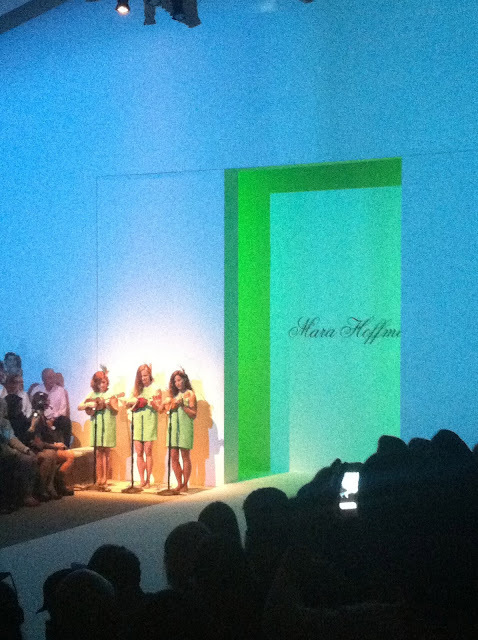 The designer, interviewed backstage after her runway show, said her inspiration was an "Aloha spirit!" 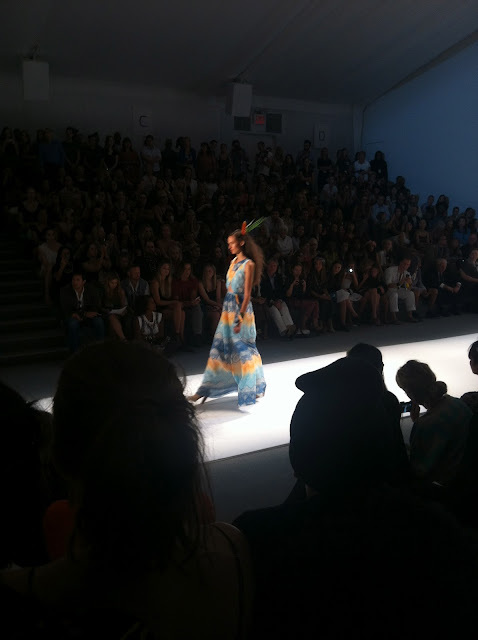 And to wit, there was a mix of Hawaiian prints + color, which Ms. Hoffman said was "a natural place for me this season." Her favorite print? The medicine wheel "with the herbs represent healing..."
My favs were the modern, updated caftans, flowy, loose and long. The ultimate in "Happiness is a Bright Summer Dress" attitude. 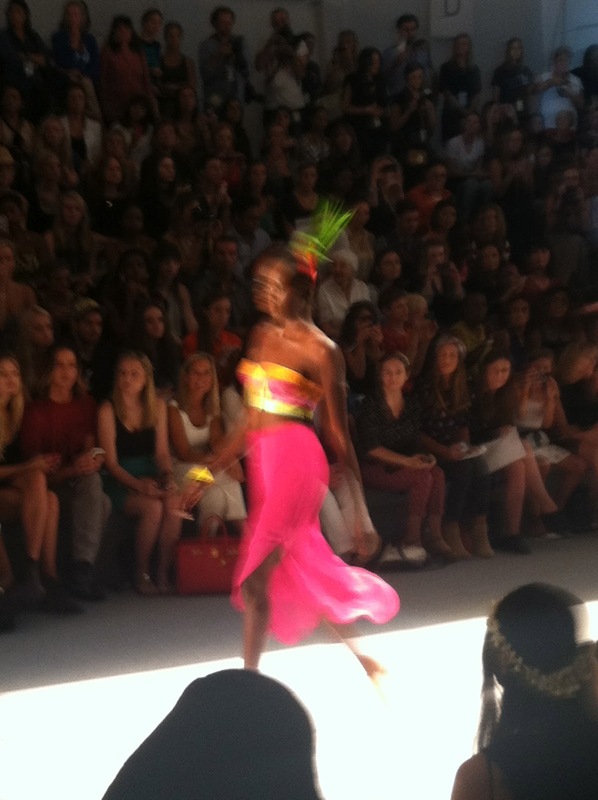 magenta + coral, turquoise + sky with hints of vanilla, sand and black.